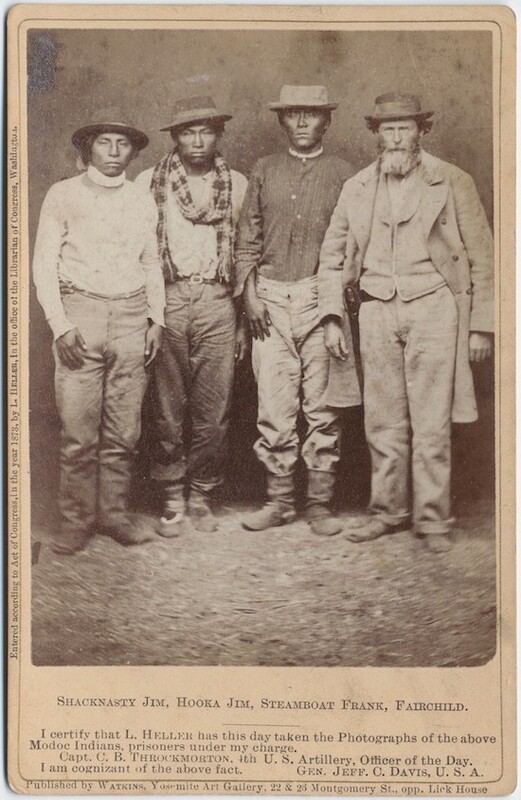 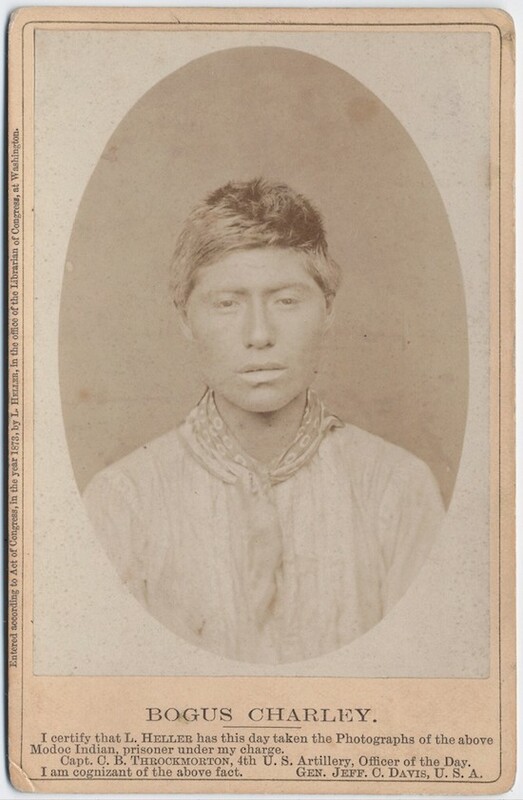 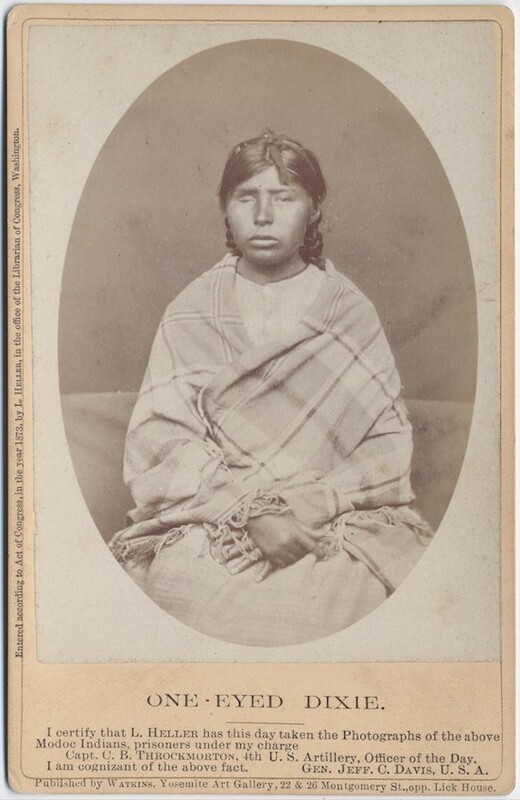 The photographs featured below of captured Modoc warriors were taken by Louis Herman Heller (1839-1929) during and after the The Modoc War. 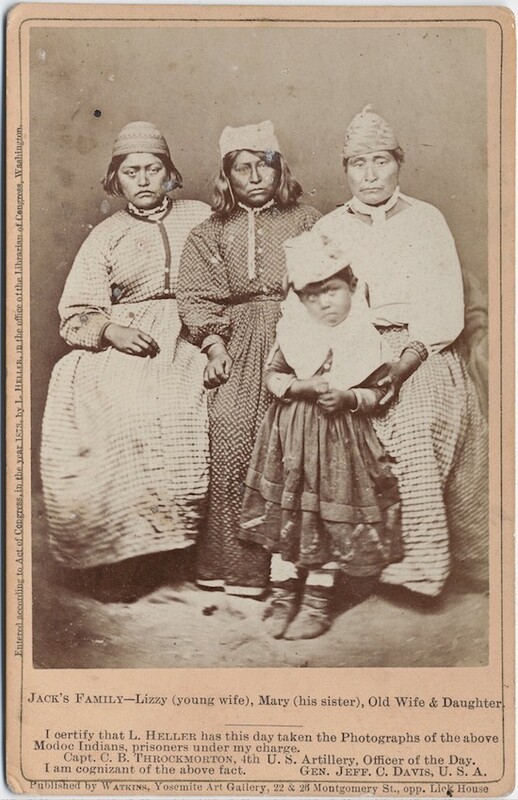 The war was fought between the Native American Modoc people and the United States Army between 1872-1873 and had its roots in the forced resettlement of the Native Americans. 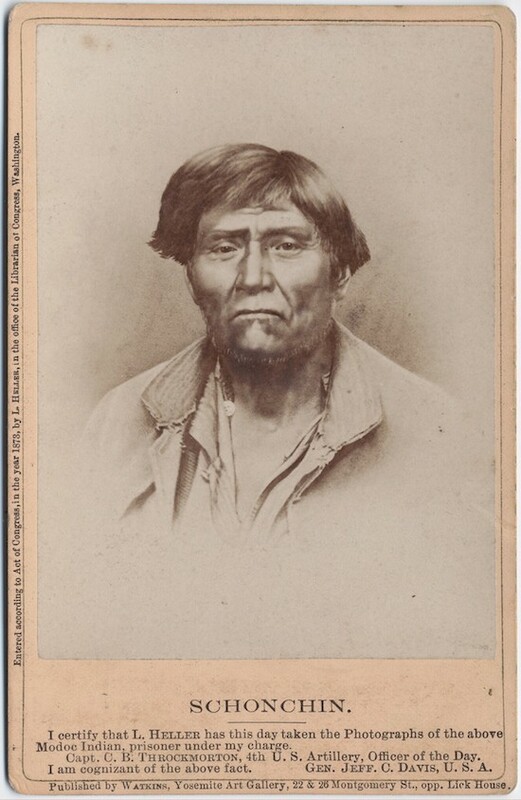 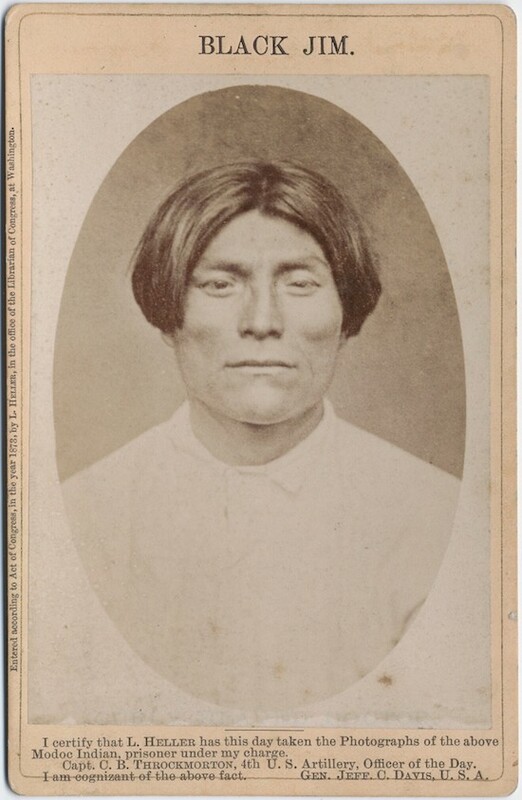 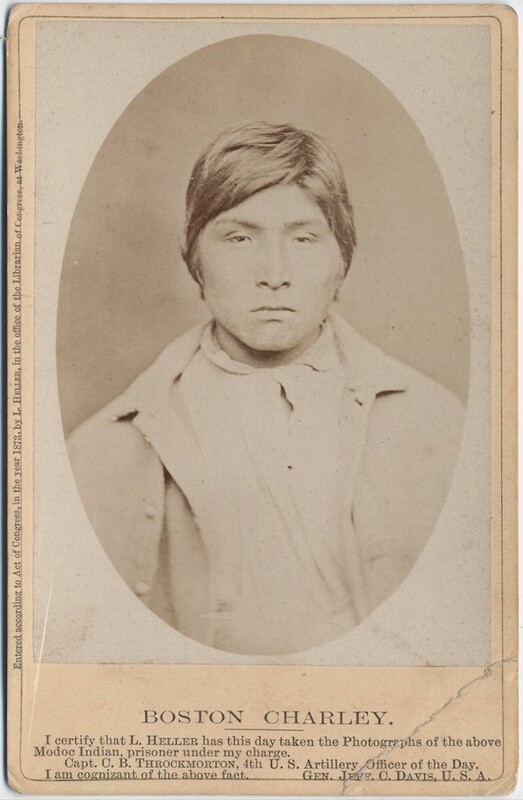 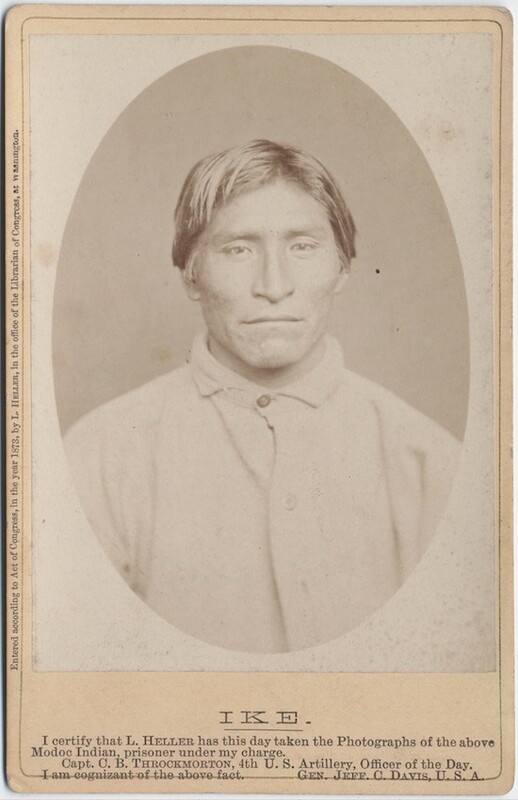 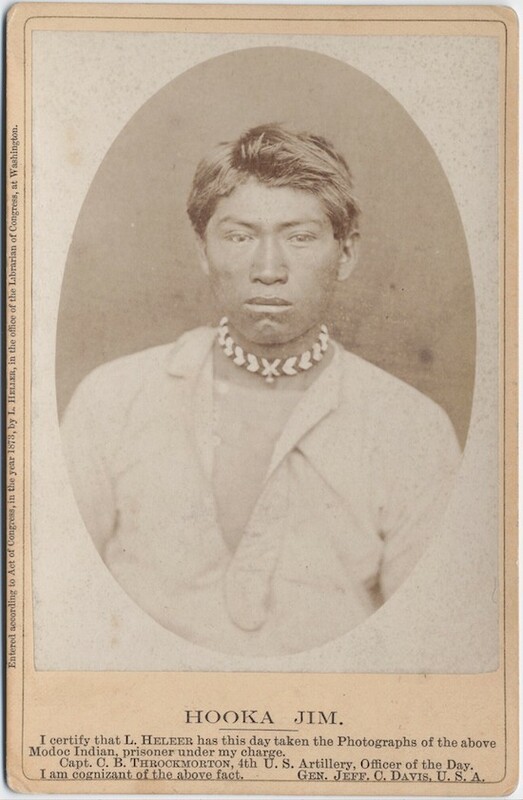 The Modoc fighting force was spearheaded by Kintpuash AKA “Captain Jack” (first to be featured below) and included 52 other warriors in a band of more than 150 Modoc people. 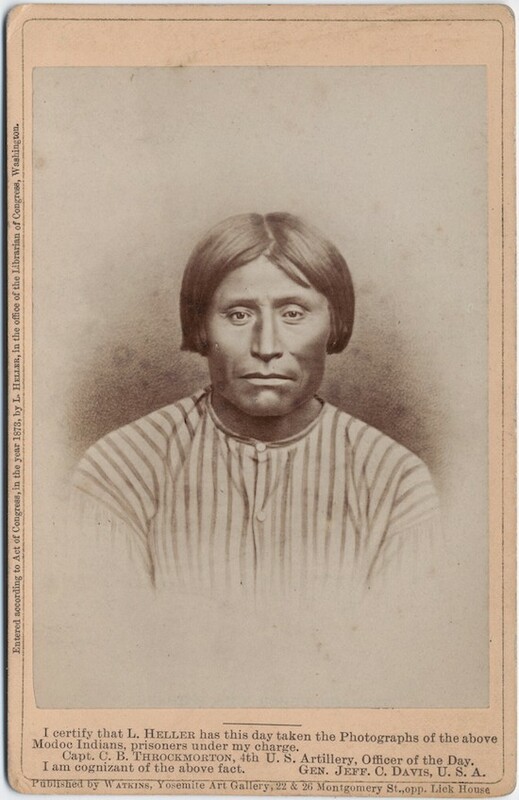 After nearly a year of fighting the Modoc warriors were defeated and Jack and three warriors were executed for the murders of two peace commissioners, and two others were sentenced to life imprisonment. 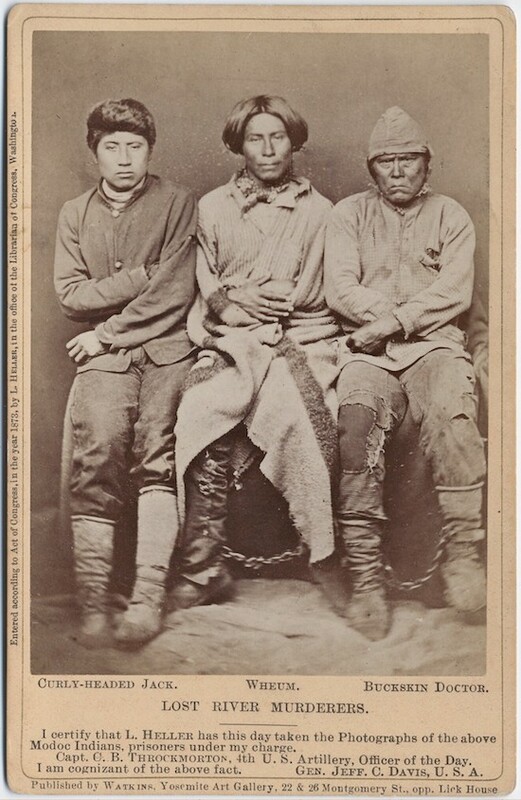 The remaining 153 Modoc of the band were held as prisoners of war until 1909. 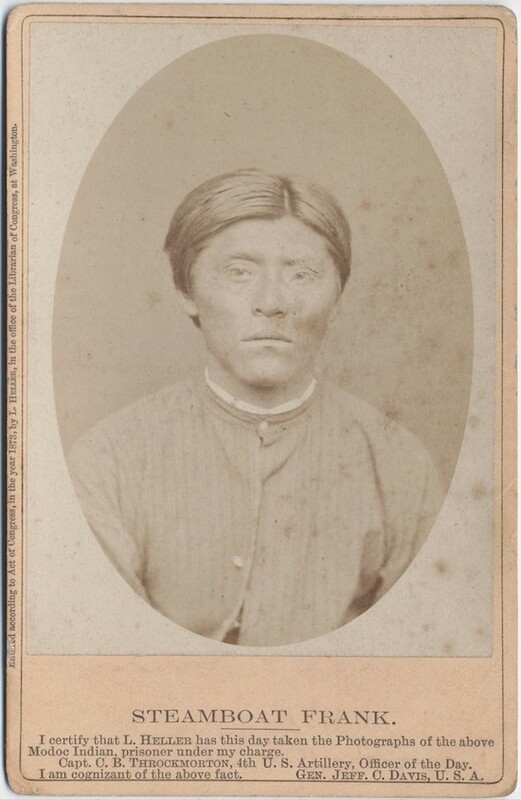 Heller, a German-born qualified pharmacist and photographer who is believed to have emigrated to the United States in 1855, was the first photographer on the scene. 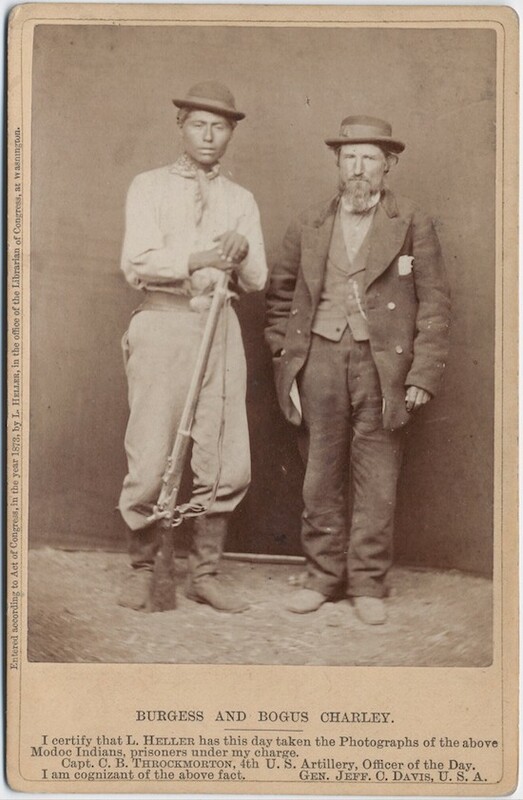 However, his pictures are not as well known as those of Eadweard Muybridge (1830-1904) and do not feature any images of the battles fought. 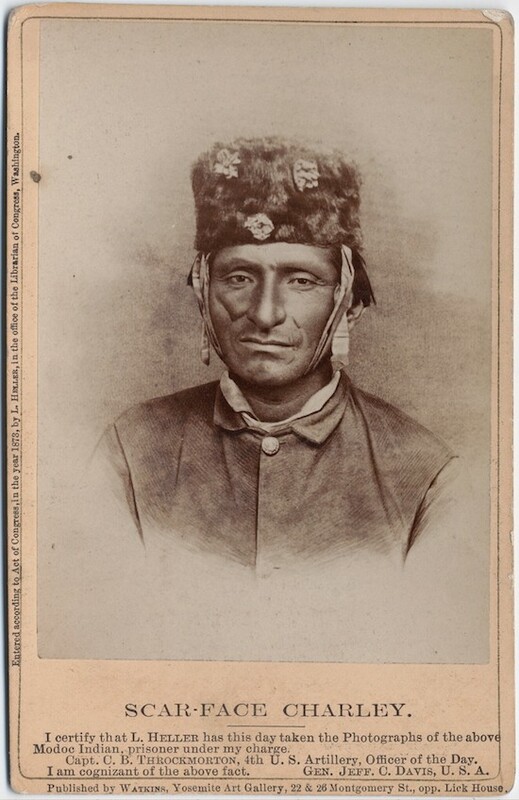 Heller’s photographs were published in Harper’s Weekly in June 1873 as engravings based on his photographs, giving the general public a view of the war. 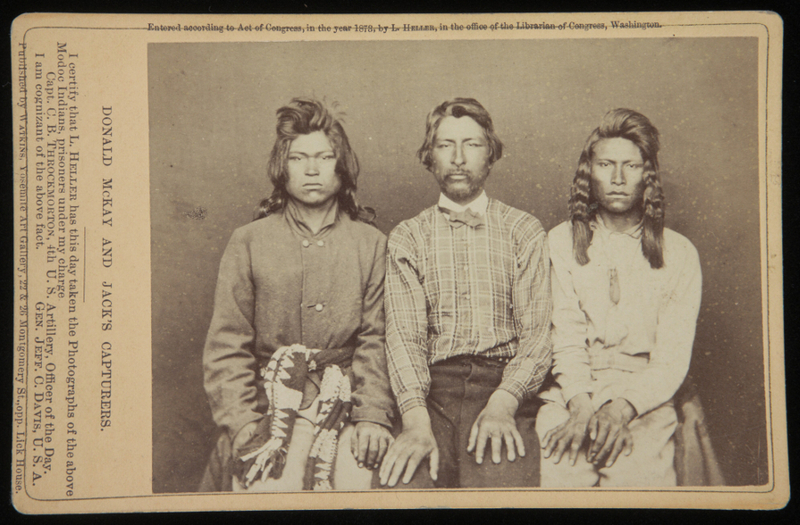 In an attempt to gain recognition over Muybridge, Heller sought to have his Modoc warrior portraits published, but once they were, the publisher Watkins was mistakenly credited as the photographer, leading to Heller falling into obscurity. 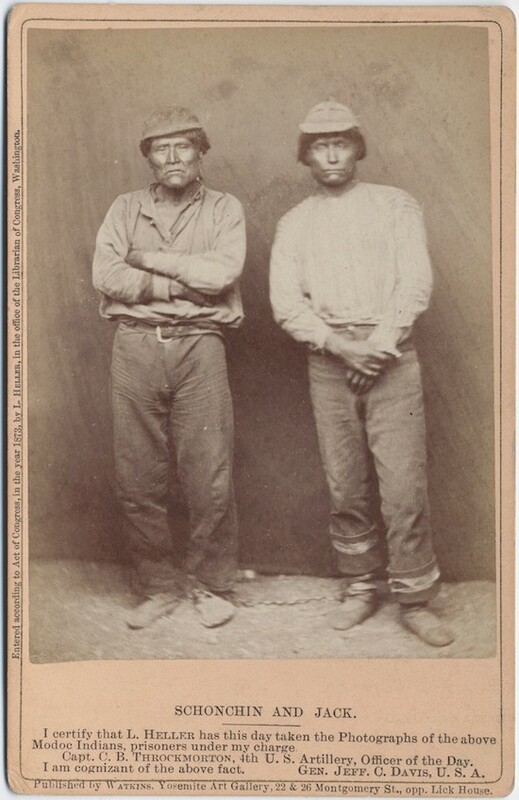 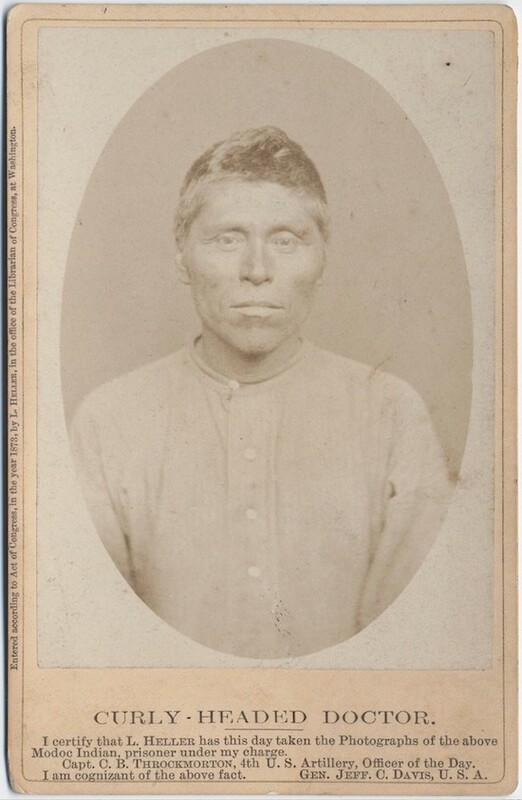 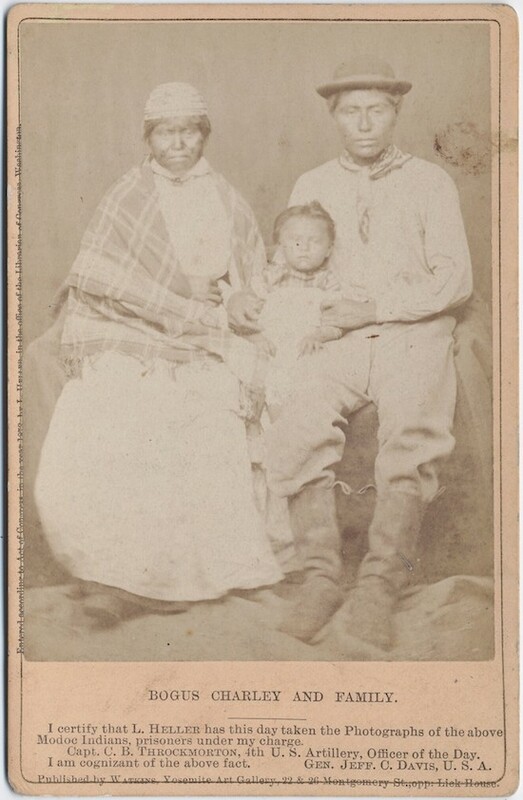 Later, he sold his negatives of the Modoc captives to Watkins, but continued to work as a photographer in his own photographic studio.